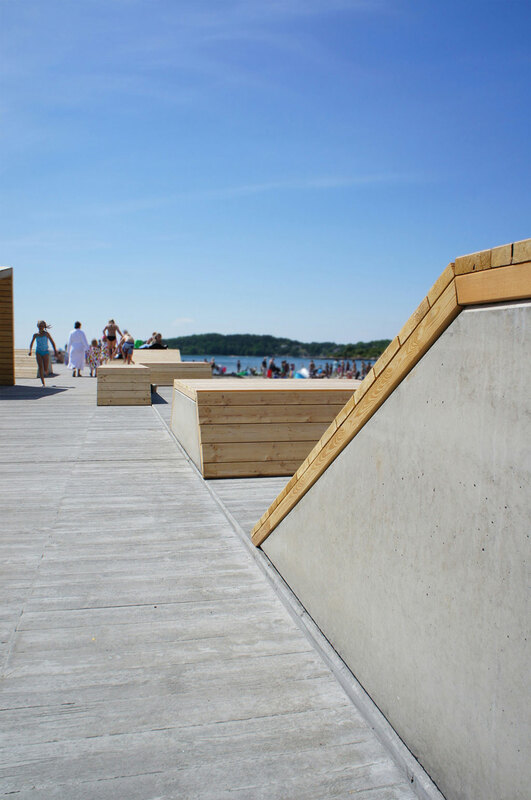 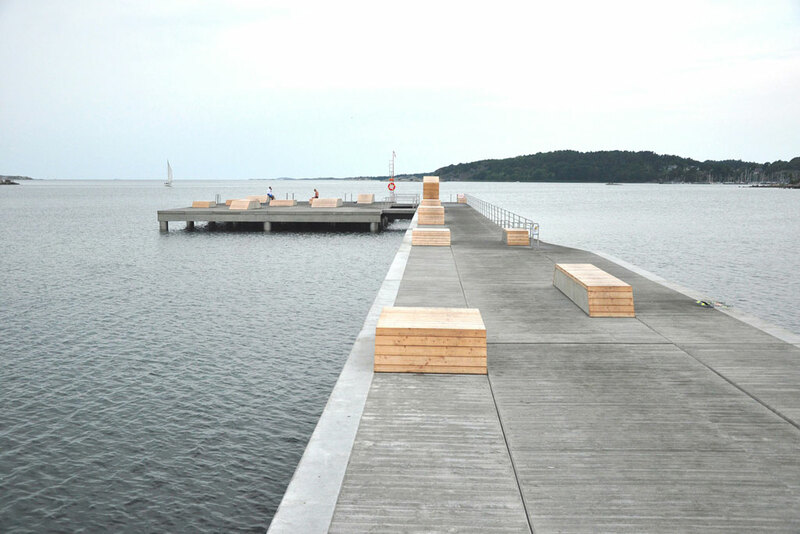 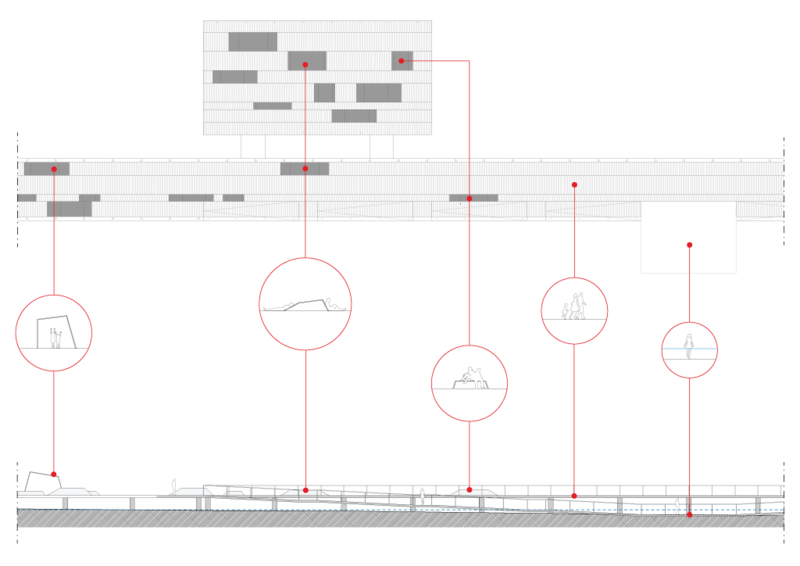 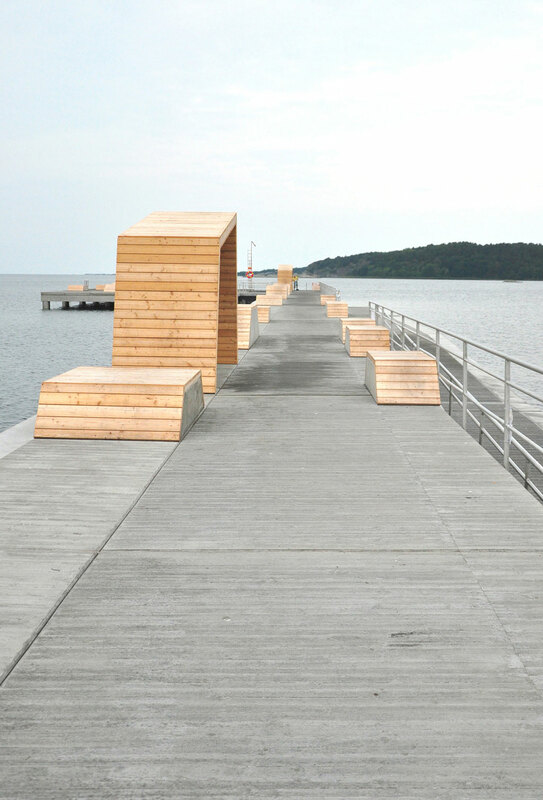 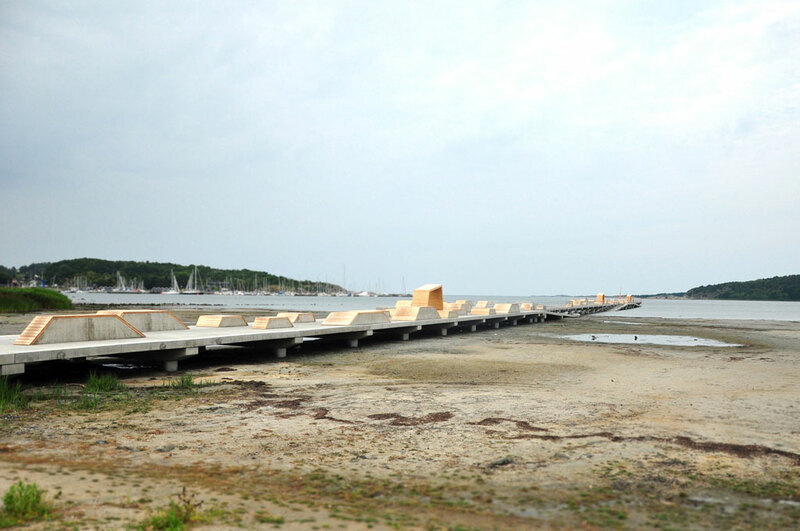 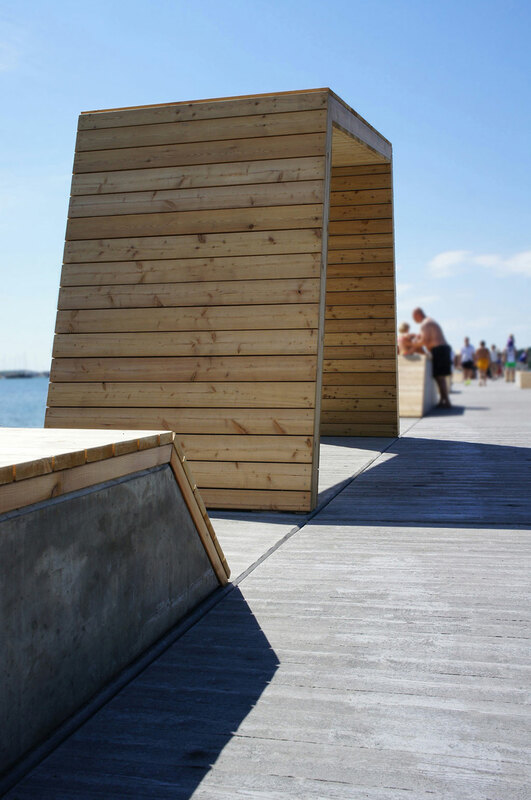 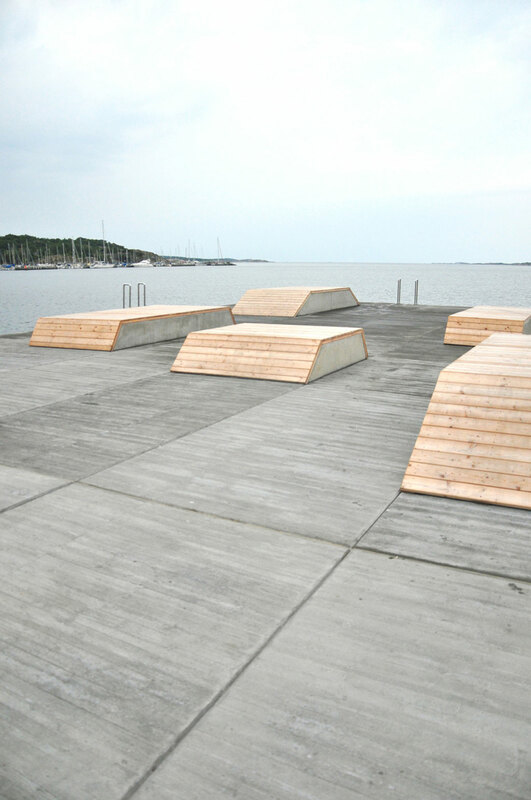 The new pier reaches 250 meters out to see in Askim bay and is designed by several longitudinal lanes where equipments for sunbathing and resting are integrated. 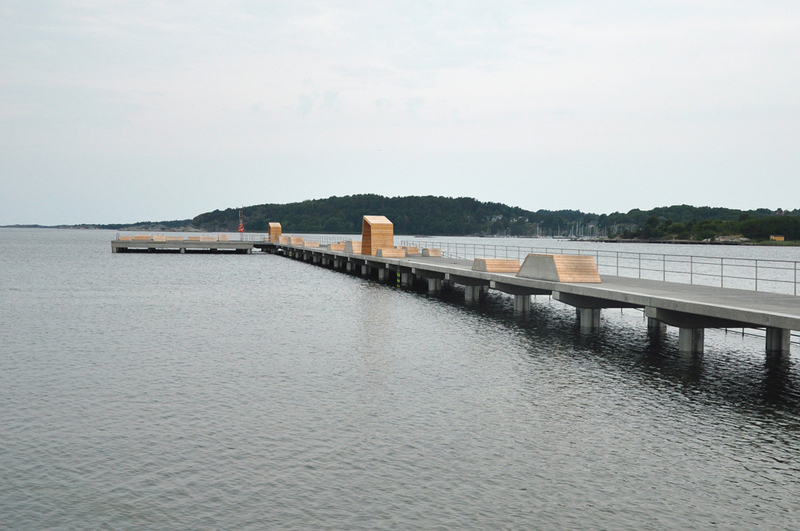 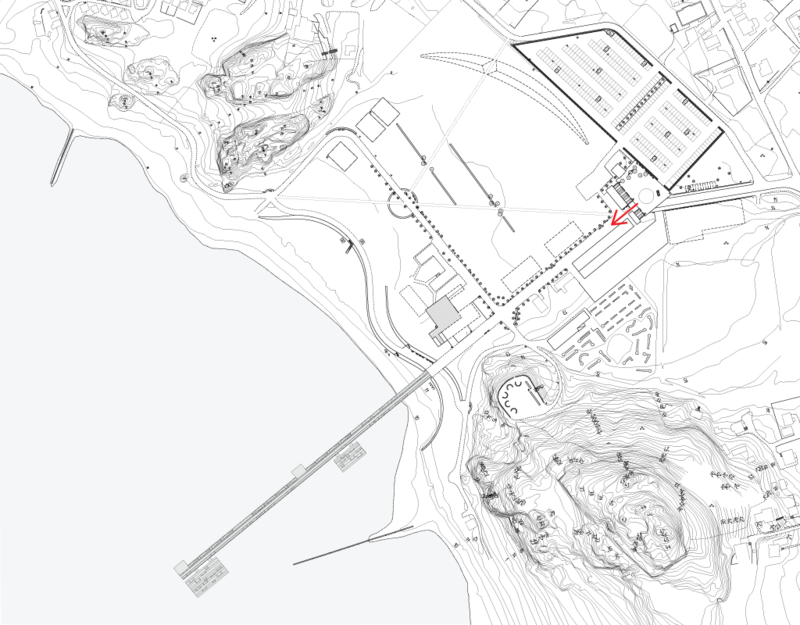 From one side of the pier is possible to reach two big sun decks, along the other side a sequence of ramps runs down to swimming platforms under the water. 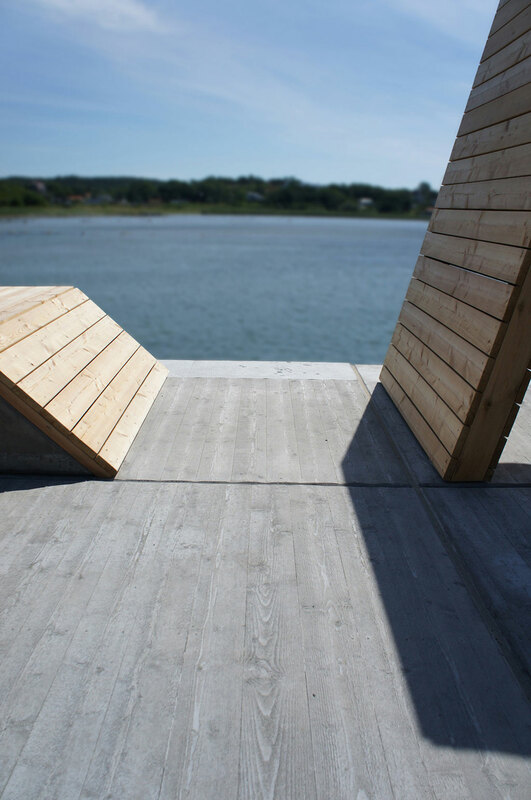 The structure is made of concrete and the surface is molded with a wooden board relief.